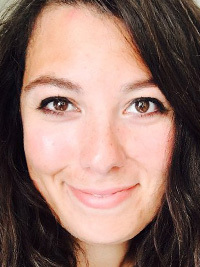 Bryony Cox is an account manager at Mantis, a PR agency specialising in technology, with a particular focus on the public sector. 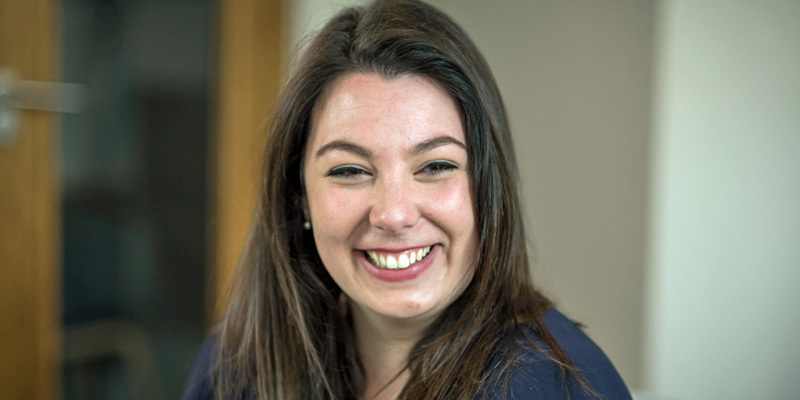 Bryony has over eight years’ experience working with IT and technology companies and the public sector creating and executing innovative campaigns that build relationships with influencers on behalf of her clients. Bryony is also the sole carer of her six-year-old son and balances a full-time career with motherhood. Bryony was an attendee at the inaugural Womanthology Diversity Thought Leaders’ event at Warwick Business School in The Shard on 20th November 2017. Working in communications is a bit of a family tradition – I grew up surrounded by tales of the world of advertising in the 50s and 60s, fashion and health publishing and technology PR in the 80s. It was almost an inevitability that I would also end up in communications. I truly fell in love with communications during university on an industrial placement year with the South West Regional Development Agency, part of nine UK agencies leading in the development of a sustainable economy and unlocking the region’s business potential. At the age of 20 I was fortunate enough to be involved in helping to form the Local Enterprise Partnerships (LEPs) in the South West and being very close to some of the most inspirational leaders within local government in the region at that time who were helping to set the course for the development and promotion of STEM careers. From there on I embarked on a career in communications on the agency side. For the last three years’ I have been with Mantis, looking after technology clients who, predominantly, sell into the public sector. It’s a sector I really enjoy as it’s so personal to each of us – we all have children in school using technology, or go into hospital and expect the best service, enabled by clinicians with access to data or expect our local council to organise refuse collections seamlessly. It’s great to be working at the heart of public services and policy. The speaker and attendee list spoke for itself – it was a no brainer to come along and be part of an event with people that really want to see change, and crucially, are doing things to make it happen. There are a lot of principles from communications that can be easily aligned with nudge. Advocacy is a key part of any communications strategy – getting your customers, partners, staff and other parties to tell their own stories in a positive way, and, in a way, that is indirect and subtle. This is where I think good role models come in – we all know amazing men and women, sometimes who are not at the top of their careers, who are doing small things to bring about change to gender balance and challenging the norm. Organisations must be proud of these individuals and shout about them more. And this is not just women, men too, who are actively challenging norms and demonstrating flexible attitudes to work. 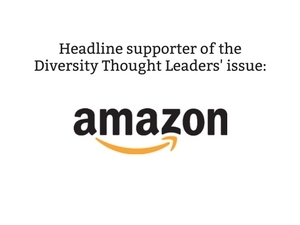 The energy and enthusiasm for change in the room at the Diversity Thought Leaders’ event was palpable – I think you could not fail to feel inspired to think about your own sphere and what you can do to make a difference. I believe we are guilty of thinking that we can’t make changes, but we absolutely can – whether they are small or big. The diversity event really brought that notion to the fore for me. Personally, speaking without a clear vision of where I wanted to be personally and professionally and an absolute belief that I would eventually get there – I wouldn’t be in the position I am in. The event made me reflect on Mantis and what we do to support diversity and gender balance from flexible working for everyone in our flat structure. But no person or company perfect and I think that on the whole, as an industry, communications is not a clear representation of society. I would like to see this change and I would like to make a career in communications easier for people outside of the norm. Personally, I will be talking more about my own experience and that of my colleagues and friends to try and change old and outdated perceptions. Excuse me for using this old adage (it was also mentioned at the event) but if you do what you’ve always done, you’ll get what you’ve always had. 100 years from winning the vote we still have not achieved enough in terms of gender balance and diversity within many aspects of life. Sometimes it takes just one of two brilliant ideas that can be adopted widely across industry and society to make real change. I hope in 100 years’ time we look back on gender inequality as a historical issue. Outside of servicing our clients, we are currently looking for a new team member at Mantis. We have a great model for flexible working here – for both the eight working parents and two non-parents to be able to enjoy time outside of work and still service our clients extremely well. 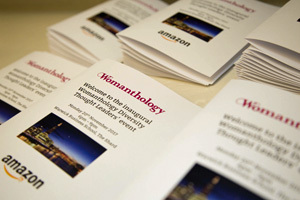 We are really excited to take on some of the principles from the Womanthology Diversity Thought Leaders’ event and put them into practice during the recruitment process.